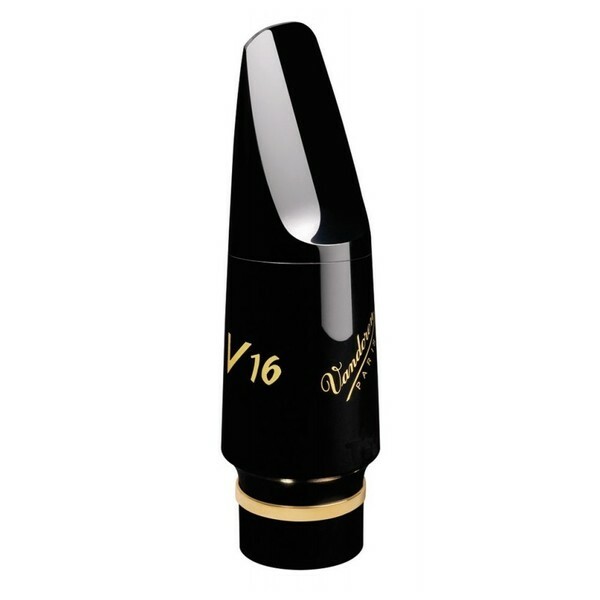 The V16 T8 Mouthpiece is extremely desirable among tenor saxophone musicians because of it's perfect tip opening and facing length. It offers an easy production as well as a great tone, making it one of the most well respected mouthpieces on the market for tenor saxophones. A medium sized lip opening of 2.80mm and a long facing opening provides the performer with the perfect combination of all aspects when considering a mouthpiece. For this reason it is the most played Vandoren mouthpiece in all genres. it is recommended that Vandoren V16 3 or 3.5 reeds are the most appropriate to use with this mouthpiece. For more information on Vandoren V16 Saxophone Mouthpieces, please find the PDF below. Can't find that specific mouthpiece online? Please contact us for more information.